With almost 75% of the surface of our planet covered in water, it is essential for life. Our bodies are composed of an average of 60% water*. We can go 3 days without water, although many critical body functions start to suffer much sooner than this (including the ability to think clearly), so it’s imperative to find safe drinking water. Drinking water that hasn’t been filtered and purified can lead to some very unpleasant conditions such as typhoid, dysentery, cholera,and hepatitis. Transporting nutrients – Water is used in your body as a transport medium, distributing essential nutrients such as glucose, vitamins and minerals, as well as oxygen, to cells. Chemical and metabolic reactions – Nearly all of the molecular functions that take place in your body are organic chemical reactions which need water. Examples include transferring sugar to your cells and the replication of your DNA. Digestion – Water participates in the biochemical break-down of what you eat. Body temperature regulation – Water helps limit changes in your body temperature in a warm or a cold environment. It allows your body to release heat when the ambient temperature is higher than your body temperature. Your body begins to sweat, and the evaporation of water from the skin cools you. Elimination of waste – Water removes waste products and reduces the burden on your liver and kidneys. Lubrication – Water makes an effective lubricant around your joints. It also acts as a shock absorber for your eyes, brain and spinal cord. Here I’m referring to finding water sources such as lakes, ponds, rivers and canals; I also include snow and ice here. These are all examples of surface water. Unfortunately we need to discount 99% of surface water; 97% is salt water and shouldn’t be ingested** and a further 2% is locked away as ice at the poles. There are also ground water sources such as springs and wells. Locating surface water is more or less a case of using some basic geography and heading downhill. I took this photo in 2014 on our expedition to the Isle of Arran. From time to time you can locate water in hollows in trees, and certainly in our woodland Willow seems to know where they all are. If you are at the coast, you can often find water either running over a cliff or seeping from the cliff; keep an eye out for bird droppings on a cliff face as they can often indicate water dripping out of a crack. Be sure to evaluate the risks associated with reaching the water. The photo below was taken at Freshwater East in Pembrokeshire. Snow can be a good source of water. Fresh, clean snow is generally accepted as being safe to drink although I would try to avoid this as it can bring down your core temperature, and if I’m going to melt it, I might as well boil it. Snow is about 90% air and you need to take care when melting it. Don’t pack the snow into your container, instead put in a handful, melt that and then add another handful; keep adding small quantities of snow. Ground water is also likely to be found by heading down hill. What you’re looking for is damp or boggy ground, maybe even a dried up river bed where you think that there’s likely to be water below the surface. And then you’re going to have to dig a gypsy (or Indian) well. Our main source for harvesting water is through collecting rain. On average in the UK it rains 1 day in 3, so rain water is generally a reliable source. It’s easy to collect and requires little more than a tarp or sheet of plastic and some cordage. When I use a tarp to sleep under, I always make sure that one corner is lower than the rest; put a pot under that corner and you can collect rain water with no effort. Walking through dew laden grass with a towel or t-shirt wrapped around your ankles will collect water. Many species can alert us to the presence of water and knowing what those species are and how to identify them is crucial bushcraft knowledge. For example, if you are on top of a hill and wondering which direction is likely to get you to a water source, knowing some water indicators will help you in your decision making. When you’re sourcing your water there are things that you need to be aware of and avoid. Obvious things are run-off from farmland, such as pesticides and herbicides, and also industrial run-off etc. Many of these chemicals can’t be removed from the water without specialist equipment. There are also a number of other things to watch out for, poisonous plants such as hemlock water dropwort (below) which tends to grow in the same places as you’re likely to select for digging a gypsy well, and liver fluke, which are often found in low lying areas where sheep are present. Once you’ve managed to collect your water, you’ll need to filter and then purify it. We teach finding water, as well as filtering and purifying, on many of our courses, such as our 2 Day Bushcraft Course, Weekend Survival Course, Institute for Outdoor Learning Bushcraft Certificate and our 5 Day Bushcraft Course. You can see loads of photos from these courses on our Facebook page. *The volume of water in a human body varies from 50 – 75% depending upon age, gender and level of fitness. **Whilst there are accounts of people surviving at sea by drinking small quantities of salt water, most medical sources advise against it. This is because the salt content in seawater is much higher than levels that the human body can process. Your kidneys can only make urine that is less salty than salt water. Therefore, to get rid of all the excess salt taken in by drinking seawater, you have to urinate more water than you drank. Eventually, you die of dehydration***. ***The same is largely true of drinking your own urine, it will only serve to de-hydrate you. 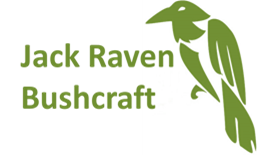 Lead Instructor at Jack Raven Bushcraft, teaching bushcraft, wilderness and survival skills to groups and individuals. Add your email address to subscribe to our blog and receive notifications of new posts by email.